Deploy Multichannel Digital Marketing Solution with our industrial expertise. Get SEO, SMO, Web Design and other Digital assistance to boost your Online Presence. Reach Vital customers when they need your service. 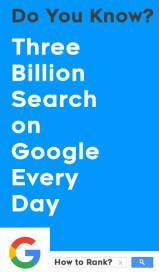 Target them personally on Search Engines like Google. Be Local. Globally. Let us help you make your decision. Semark Media has tailored plans to suit needs of every business. We conduct research to check the health of your business and compare it with competitors. Our Keyword Curation and Link Building strategies are backed by Data Analytics to give you maximum ROI. All our web designs are search engine optimized. NO. We don’t force our clients to establish a Forced Partnership with us. We fix realistic goals for every project after detailed discussions with clients. You can opt out at any point if you are not satisfied with our services. However, we assure that this question will not bother you after getting in touch with Semark Media. Semark Media allows you to set custom deadlines for your SEO, SMO, Web development or any other digital marketing project. Our first draft is deployed in such a manner that there is ample time for edits and redos. It is recommended to wait for 3-6 months to see visible results in case of time consuming marketing campaigns like SEO, SMO and content marketing. Feel free to ask a question or get in touch with us. Drop us a message and one of our team members will join you in no time. Semark Media aims to create a benchmark of custom pricing in online marketing domain. Our workforce has technical skills with adequate artistic finery. Established companies, SMBs or freelancers, SEMARK MEDIA has plans for everyone. Fix Goals, choose a target audience and let us worry about the rest to give your campaign, the edge it needs. We work round the clock and offer 24-hour contact service to cater to a global clientele. Sudden decrease in your traffic and ranking could be a nightmare. The same happened with Katys Boutique, they had lost their 1st-page ranking for some main keywords which cause a huge drop in traffic and sales. We analyzed the website and found that they have lost lots of links and their competitors are having more stuff in the website like – content, links, blog, title, meta, etc. All type of Businesses are with us. Good Job by the SEO team at Semark Media. I started receiving leads after 1 month. I am really happy with Semark media. We are Semark Media. We treat our clients as partners and deliver services with a smile. A long lasting relationship is more important to us than hasty quick fixes. Our team is a group of geeks, and cool ones at that. Our designs are based on latest Search Engine recommendations, allowing us to deliver the top digital marketing services like SEO, SMO and Web development. Get in touch and embark on a journey of Digital Transformation with us. For a steady growth on digital platform monitoring the performance of Key performance Indicators (KPI’s) is a must. The complexity of SEO is that there is no fixed strategy for success. To rank your website amongst top searches of search engine results you have to make continuous tweaks to your existing strategy. It is necessary to incorporate trending tactics to design a successful marketing campaign online. One such latest trend is Video marketing. An informative video covering a hot topic not only ranks high amongst search engines but also proves to be an efficient way to drive visitors to the website. Address: SEMark Media Modern Digital Marketing Company providing SEO, SMO and Web Design Services.